OWIN stands for Open Web Interface for .NET . 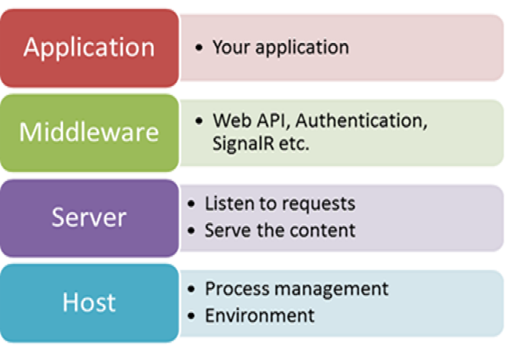 OWIN is an abstraction between .NET web servers and web applications. It decouples the application from the server, making it ideal for self-hosting. 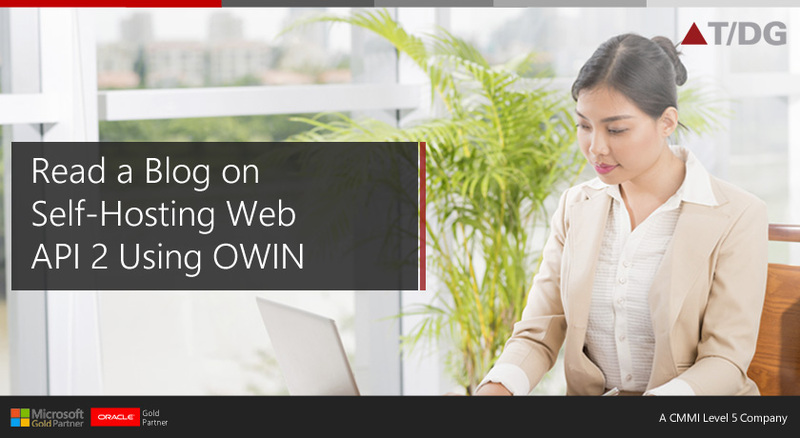 OWIN can serve as host for webapi, nancy or even as ftp server. Host application in your own process, independent of IIS e.g. in a windows service. Easily port application between hosts and potentially entire platforms/operating systems. Reduces middleware components, works as pipeline transparently. Simple workflow due to pipelines, and improved efficiency due to reduce pipeline. OWIN is a community-owned specification, not an implementation. The Katana project is Microsoft’s implementation of OWIN. This tutorial shows how to host ASP.NET Web API in a console application, using OWIN to self-host the Web API framework. > Topshelf We are using topshelf to host owin inside a windows service. Step 5: Test Visit the URL http://localhost:8099/api/HelloWorldApi in your favourite browser to make sure it works.